Attractive small grey leaved Westringia with white flowers. 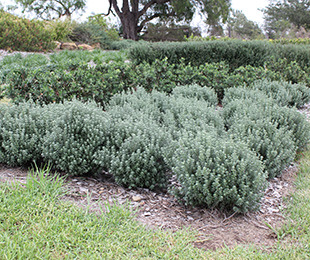 This tough drought and frost tolerant Westringia looks great when pruned to shape or left in its natural ball shape. 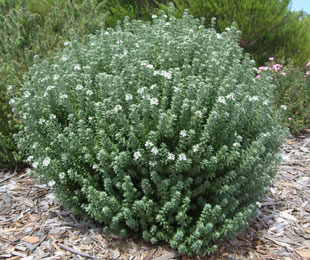 Grey Box™ Westringia requires full sun to light shade. It is suited to most soil types and has been found to work well in sandy and heavy clay soils. Great for use as a hedge, border, containers and mass plantings. A good colour contrast against green plants.